Sotheby's will features "the world's most valuable egg" in their Travel, Atlases, Maps & Natural History sale in London on 30th April. 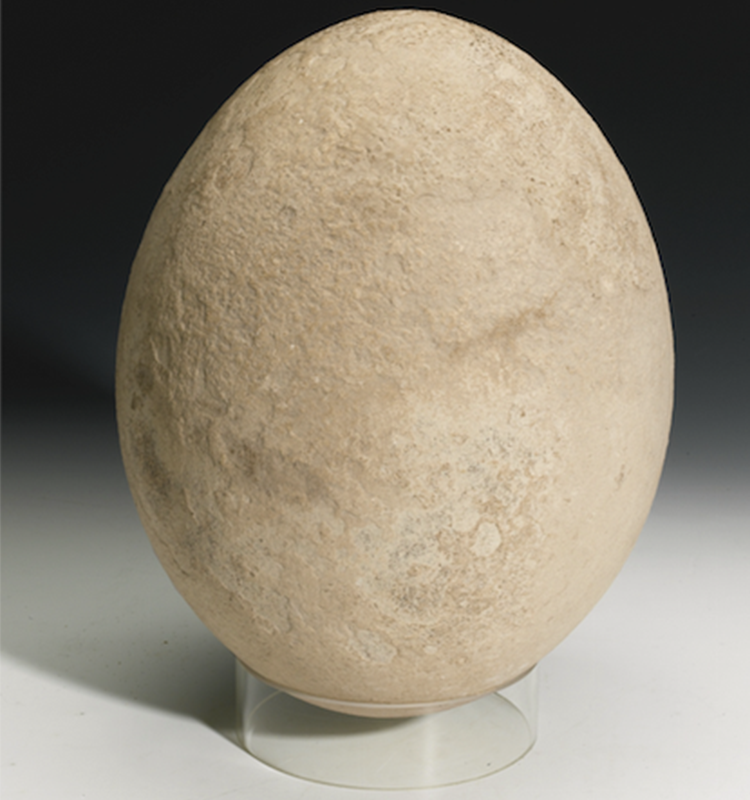 The elephant bird egg has come from the collection of Swiss carriage manufacturer and natural artifacts collector Otto Alfred Heimburger with an estimate of £30 000—50 000. The egg is in a "generally in very good condition" making it extremely rare. The elephant bird was indigenous to Madagascar and biologists believed it was to be the largest oviparous animal to ever live on Earth. It grew to a whopping 3 metres and weighed 450 kg. It became extinct in the early part of the 17th century due to hunting and European settlers destroying its natural habitat.